Honey Bunny is a Limited Edition. Extra materials - wool, silk ribbon, beads, bee charm or pompom tail - are not available. 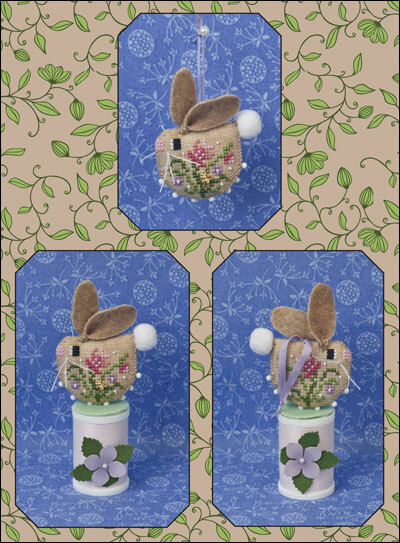 Bunny stand thread spool created by Nan for display. Create your own spool display for extra fun with this project! Instructions provided.